Sometimes, we would like to build a 2-sides layout with 2 separate contents like playing cards and we can flip/switch them smoothly with animation. By this tutorial post, I will show you how to do a card flip animation with custom fragment animations. 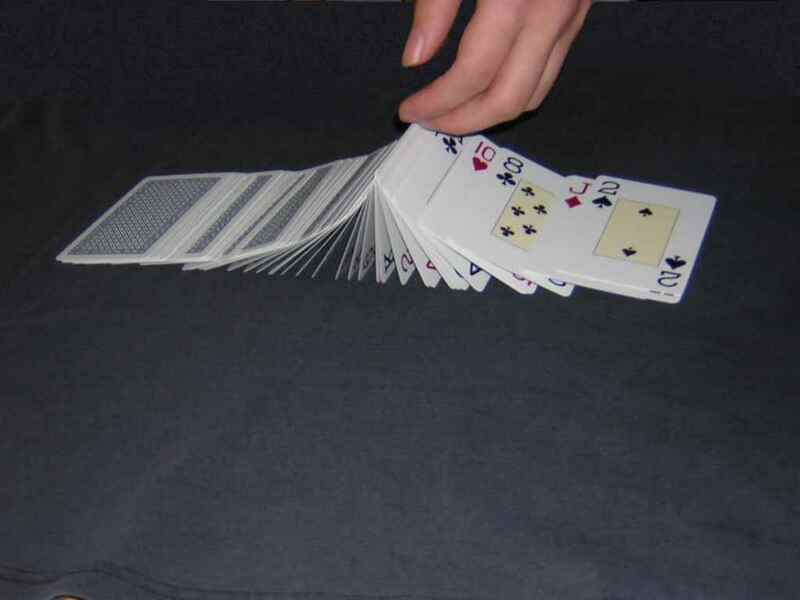 Card flips animate between views of content by showing an animation that emulates a card layout flipping over. // the system Back button is pressed). // to get to the front of the card. As you can see at the DEMO output above, when the back layout is showing, if user press Back button, the front layout will be inflated. Conversely, app will be closed! By adding animation to fragments transaction process, we now able to make a card flip animation easily. Hope this trick is helpful with your own work. 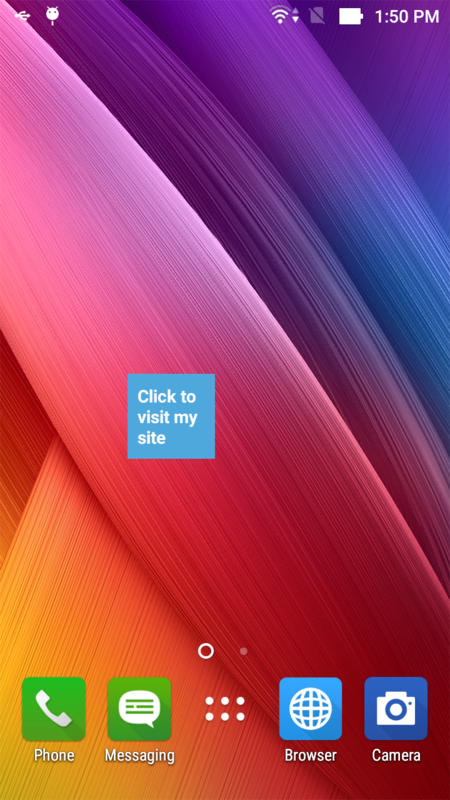 Further, you can visit this tag link to read all posts about creating animation in Android. Finally, you can download full source code by click the button below! References to original post on Android Developer blog. 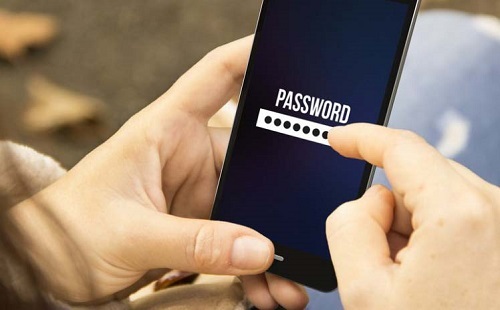 Like some application which focuses on the protection of user data, if we would like to access content, we must enter password first. This lock screen always show every time we open the app, ensure that strangers cannot access your data. Maybe in some cases to protect user information, developer can use this way. 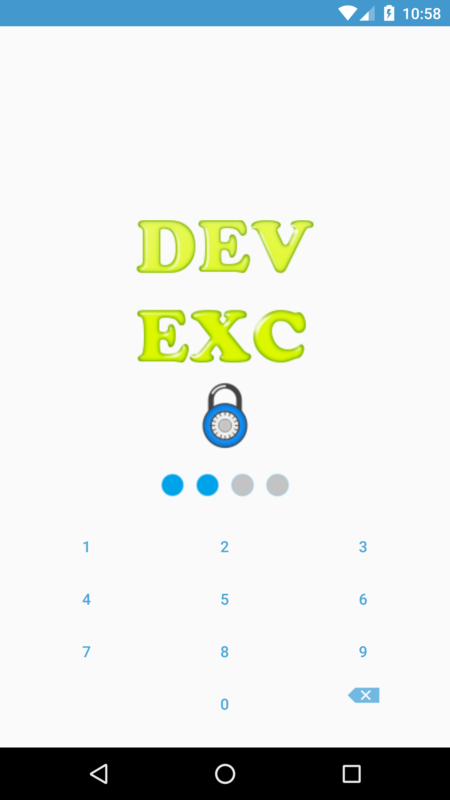 In this post, I will make a lock activity by designing in XML. There is an another solution is using a third-party library, please read my previous post. As you can see, we must remove password when the main activity closed (by override onStop() to guaranteed that the lock activity always shown when app resumed! Check input code right or wrong. If right, return to the main activity and if wrong, show a Toast to warning. You can make other better animation than this by research more about animation in Android! Make a lock screen inside your own application is a not hard work, you can design it better and should pay attention to developing animation and further, vibrating device when user type a wrong code! The fact that there are many third-party libraries which can help you make this layout without write XML codes yourself. Please read my previous post to learn about using one of them. Finally, you can get full project code on Github. Load more data when scrolling to bottom of list view/table view is one the most popular design style which available in a lot of application, for example: Facebook, Google+,... By my previous post, you've learn the way to do this trick with ListView. As you are already known, RecyclerView is a new component introduced in Android Lollipop, this component increases performances respect to ListView. Moreover, respect to ListView, RecyclerView is much more customizable. Today, with this post, I would like to talk about making an endless RecyclerView and when data is loading, it will show a ProgressBar at the bottom. Now we must provide some necessary XML files to define layouts. Because of we will set a ProgressBar at the bottom of RecyclerView when data is loading, it will have two item types. The normal item that to show info of user and loading item that place at bottom to show progress bar. 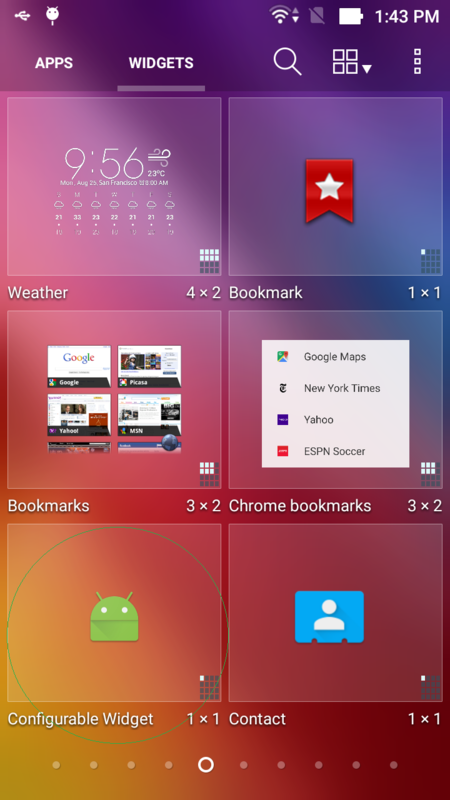 The fact that, most of widgets that you can see on your device are auto-update information, for example: weather widget, location widget,... Service is the Context which is used here to change the widget data. With auto update feature, your widget become lively and useful! Today, by this post, I would like to present an updating widget, which displaying current time in HH:mm format. As you can see at the code above, remember update data (current time) to a TextView in your widget after get time here! Like another widgets at previous parts, your must create widget layout and property files (in XML). Service does not start by itself. We need to start the service (in every minute for this example) in the AppWidgetProvider. If the device is asleep when it is time for an update (as defined by updatePeriodMillis), then the device will wake up in order to perform the update. If you don't update more than once per hour, this probably won't cause significant problems for the battery life. If, however, you need to update more frequently and/or you do not need to update while the device is asleep, then you can instead perform updates based on an alarm that will not wake the device. To do so, set an alarm with an Intent that your AppWidgetProvider receives, using the AlarmManager. Set the alarm type to either ELAPSED_REALTIME or RTC, which will only deliver the alarm when the device is awake. Then set updatePeriodMillis to zero ("0"). The minimum interval time is 60000 milliseconds for AlarmManager. If you need to call your service less than 60 second with an alarm manager, please read this discussion on StackOverflow. But you should pay attention: this action drains the battery and makes users delete your app. I cropped the video to not keep you wait 4 minutes. In Part 2, I had presented one more example of widget: Broadcast Widget (which can update it's interface when clicked). Today, I would like to talk about a widget type that can be configurable at creation, this mean when you drag it to Home screen to use, a "configuration Activity" will be launched and you will perform a setting for your widget. In this sample project, we will allow users to choose a link and whenever it’s clicked we open this link on the browser. // Set the results as expected from a 'configure activity'. In onCreate() method, the first thing we do is setting setResult(RESULT_CANCELED). Why? 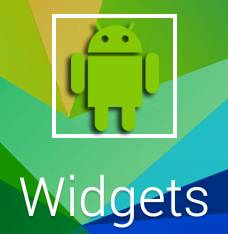 Android triggers the configuration Activity that belongs to your widget and awaits result data. If the user did not configure as we expected, let’s say she pressed back button without entering a data, we don’t need to create a widget. At the Spinner, we set data to make 2 options for user to choose (go to DevExchanges home page or Google), after click the Button, we update TextView content on the widget and set the Set the RemoteViews to based on appWidgetIds. I've just provided one more example about Android widget, hope you can understand the way to configure widget before using it. Up to next part, I will talk about updating widget via a Service - the most popular and important feature of this topic! Coming soon!